Children are loving unicorns right now! 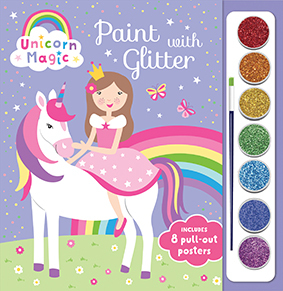 In this new unicorn colour and activity range, use the colours of the rainbow to create glitter paint posters. This book comes with 8 removable posters to paint and hang up to display. 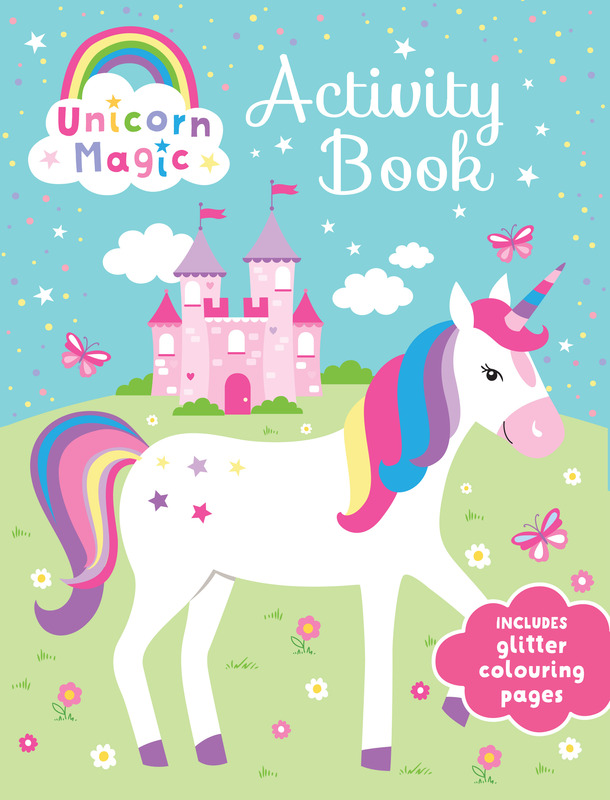 Children will adore this unicorn-themed colouring and activity book, complete with glittery, coloured posters that can be cut out of the book and put on display. There are mazes, puzzles, word searches, dot-to-dots and more! There are also plenty of pages to colour in.